Based on SAMTech.edu NHRA Factory Stock Showdown performance numbers from the first race of the 2019 season, the NHRA Technical Department is increasing the supercharger top pulley size on the 2019 COPO 350 combination from 3.350 inches to 3.500 inches and the 2019 Cobra Jet 327 combination from 3.250 inches to 3.500 inches. This will decrease the 2019 COPO 350 combination supercharger overdrive from 147.5 percent to 136.6 percent overdrive or 10.9 percent. Additionally, this will decrease the 2019 Cobra Jet 327 combination supercharger overdrive from 146.2 percent to 128.6 percent or 17.6 percent. As a reminder no other changes may be made to all approved superchargers, including, but not limited to: (upper or lower pulley sizes, gear ratios, cases, rotors, etc.). 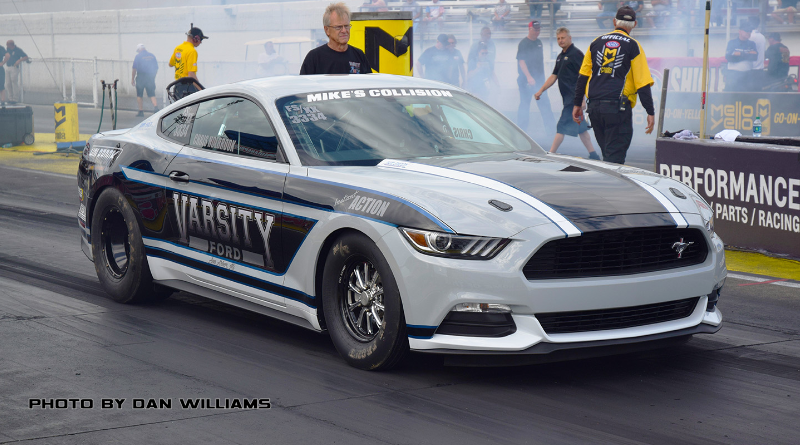 All other permitted combinations in the SAMTech.edu NHRA Factory Stock Showdown will remain unchanged. This rule change will go into effect immediately. NHRA reserves the right in the future to make additional rule changes to control performance and maintain parity in the category.